This year's Oracle OpenWorld user conference, which wrapped up Nov. 15 in San Francisco, drew an estimated 43,000 attendees for five days of keynotes, technical sessions, vendor exhibits and rock 'n' roll. 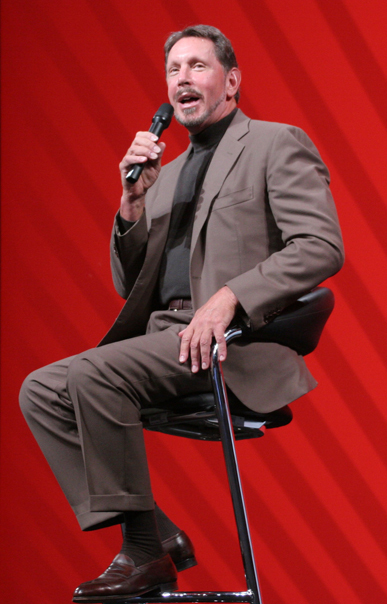 Pop singer Billy Joel introduced Oracle CEO Larry Ellison Wednesday, who gave the conference wind-down keynote. "Do you want me to sing while you play piano?" Ellison quipped as the singer walked off stage. Joel was scheduled to perform for attendees at an OpenWorld concert/party later that night at the Cow Palace, along with Lenny Kravits, Stevie Nicks, and Mick Fleetwood. Speaking to a standing-room-only crowd, Ellison noted that it has been one year since Oracle began offering its own Linux distro. Dubbed "Unbreakable Linux," the open source operating system is based on former partner Red Hat's version. "We start with Red Hat and fix bugs," Ellison said. Oracle literature notes that more than 1,500 companies have signed up for its Linux discount support program. Oracle's diverse list of new Linux customers includes, among others, Dell, Yahoo, Mitsubishi, IHOP, Timex, the City of Las Vegas, and Stanford University. But Ellison had a bigger market differentiator to unveil: The year-old Linux distro will now ship with his company's new virtualization product, the Oracle VM. "This is not the same code as Red Hat," Ellison said. He noted that his announcement was the third time that Oracle VM had been announced at the show. Ellison also gave his audience a "Fusion update," promising attendees that they would see applications based on Oracle Fusion Middleware in the first half of next year. Oracle's Fusion stack currently bundles a dozen tools and technologies -- everything from an app server to business process analysis tools, an SOA suite to data integration developer tools. "People ask me, what's a Fusion application anyway," Ellison said. "A Fusion application is built on our industry standard middleware…with a service-oriented architecture. That's the primary characteristic of a Fusion application." Starting next year, virtually all of the company's new applications will be Fusion applications, Ellison said. At the end of his presentation, Ellison took questions from the audience for nearly 30 minutes. He fielded questions about his company's acquisition strategy, its competitors and the price of the Fusion Middleware bundle. In answer to a question about who he saw as his company's greatest competitor, Ellison named SAP and "clever startup in the software-as-a-service" business. Earlier in the week, Oracle President Charles Phillips did the actual unveiling of the Oracle VM during his conference keynote. "It's our version of virtualization in the context of management tools that we provide around that, combined with Linux management," Phillips said. Oracle's development chief, Chuck Rozwat, joined Phillips onstage to show off the new virtualization product. Virtualization emerged as something of a new-product theme of the show. 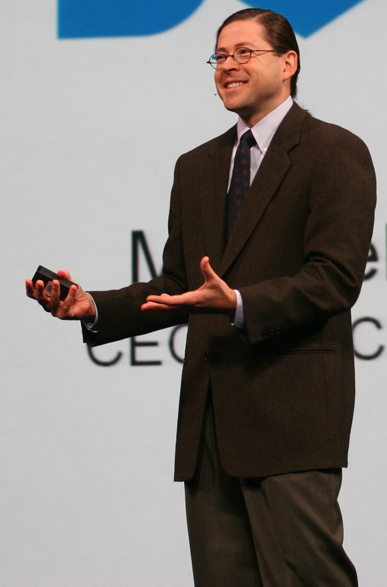 Sun's Chief Exec Jonathan Schwartz unveiled his own company's virtualization solution during his keynote. The Sun xVM is built on the Xen open source hypervisor (the Sun xVM Server) and includes the xVM Ops Center virtualization management tool. The xVM supports Windows, Red Hat Linux and Solaris as guest operating systems. During his presentation, Andy Mendelsohn, senior vice president of Oracle's server technologies group, touted the new features of his company's flagship database management system. New capabilities in Oracle Database 11g were designed to cope with the burgeoning stores of disparate data types, Mendelsohn said, from videos to graphic files, semi-structured XML data to e-mail. "XML has become the lingua franca for exchanging information in the middle tier," Mendelsohn observed, "and it's now a standard format for Microsoft Office documents. We're expecting a big onslaught of XML data to be stored in Oracle databases over the coming years." The 11g release also offers support for three new data types: RFID, 3-D spatial and DICOMM, a data type widely used in the healthcare sector. AMD CEO Hector Ruiz focused his talk on games and entertainment. "I'm going to stray from the usual IT keynote focus on technology, and instead put the focus on the business challenges and opportunities of our industry's most dynamic customers," Ruiz said. He was joined onstage by Shane Robison of HP, John Fowler of Sun Microsystems and Mark Jarvis of Dell, who discussed solutions to questions posed in video clips by customers at Electronic Arts, MLB.com and Lucasfilm. Hewlett-Packard chief Mark Hurd responded to prerecorded video questions from attendees during his keynote. To a questioner who asked about HP's view of Google and Yahoo, he said, "We at HP love that the ecosystem of content is continuing to explode. In fact, more content is fantastic for us, and the desire to have content global is also great.… The fact that a farmer in China wants to access the same content as a doctor in Chicago is a fantastic IT opportunity." The more content that is created, he added -- whether it's video, structured data, bloggers, or wikis -- the greater the need for the infrastructure to respond. Hurd also said that HP is "very focused on the management space," and is in the process of integrating its OpenView network and systems management software with apps monitoring and performance tools acquired with its purchase of Mercury Interactive. Paul Otellini, Intel's CEO, predicted that by 2010, 70 percent of the Web's digital content will be created by individuals, rather than professional content providers, such as movie studios. That trend will have a profound impact on the enterprise, he said, as 24/7 computing becomes the norm. "What we need to think about is the socializing of our networks," Otellini told attendees. "The future is not that far away, and it's highly collaborative, highly interactive"
This year was Oracle's 30th anniversary, and the company kicked off the OpenWorld event on Sunday night with a presentation called "Sunday Night Live: 30 Years Behind the Scenes at Oracle." Safra Catz, Oracle's second president and CFO hosted the event, which was attended by Ellison. This was the biggest OpenWorld event to date, with attendance up slightly from last year (43,000 or 45,000 attendees this year, depending on whom you talk with). Event organizers blocked off the street between wings of the Moscone Center to accommodate a huge tent flanked by giant digital displays, and attendees swarmed among all three wings of the conference facility.